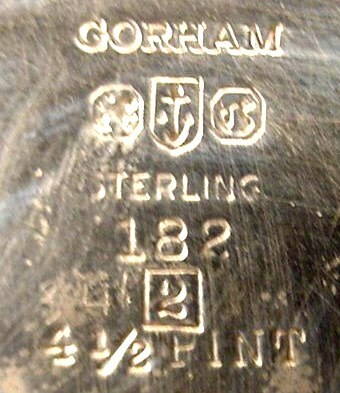 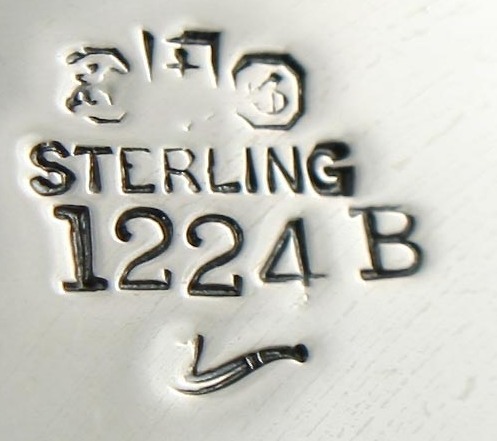 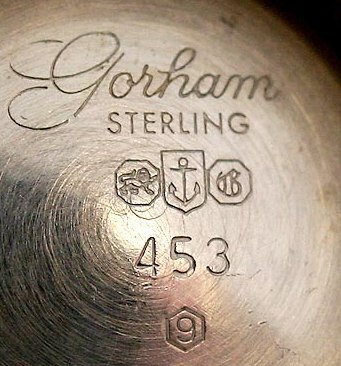 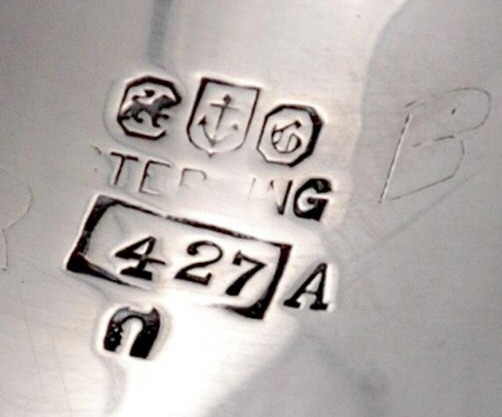 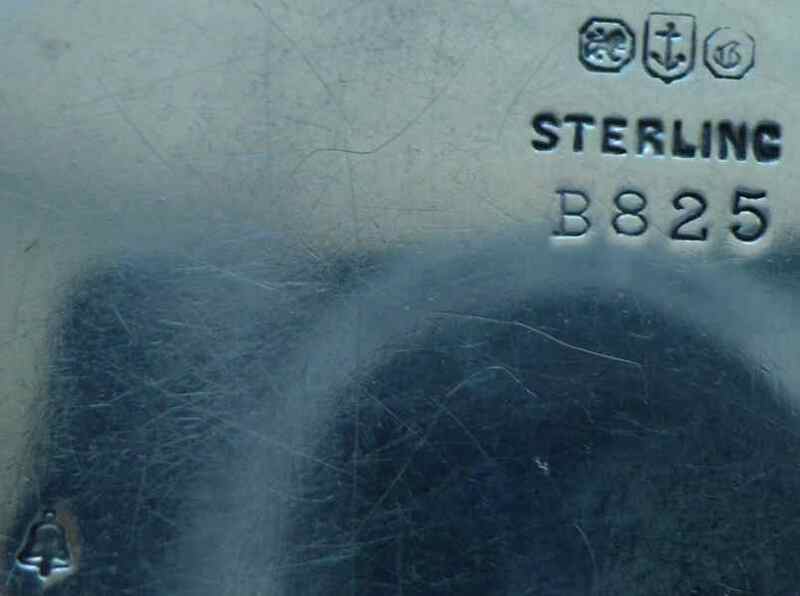 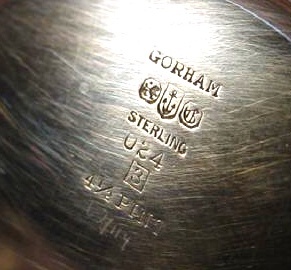 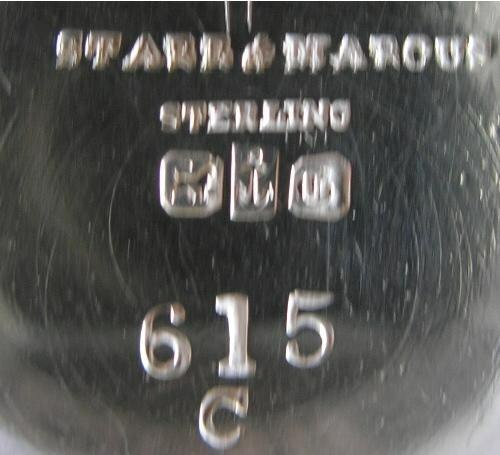 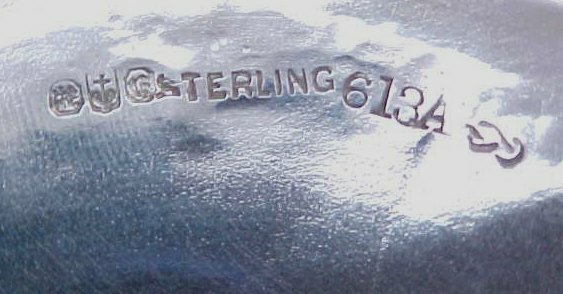 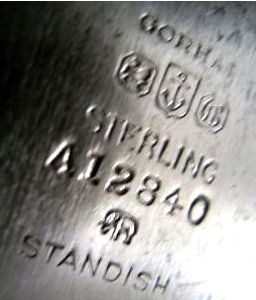 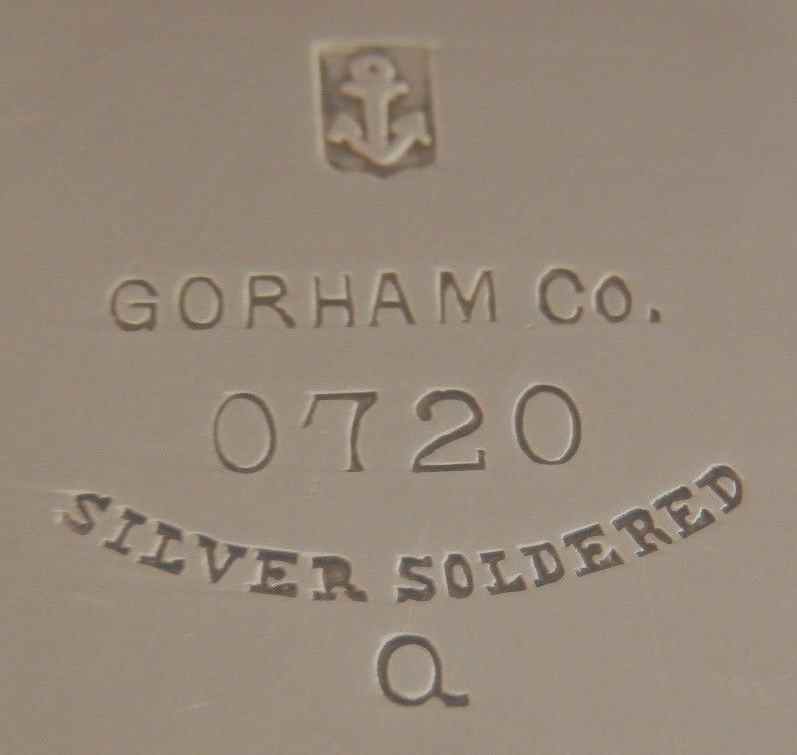 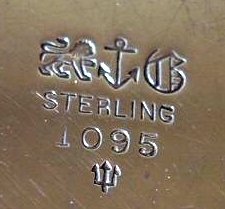 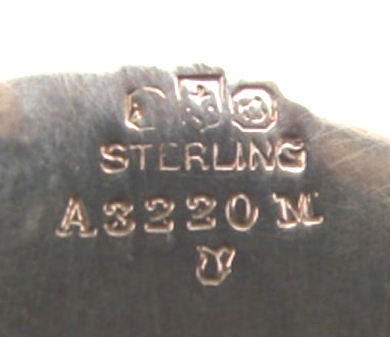 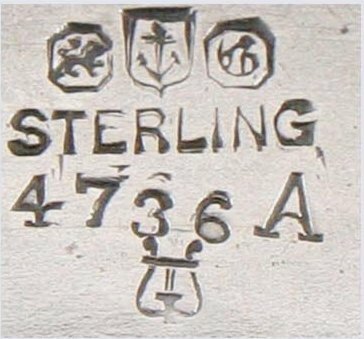 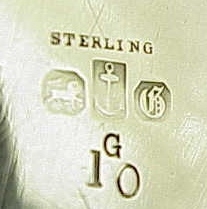 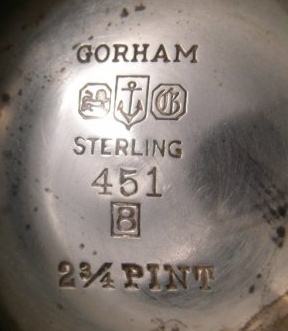 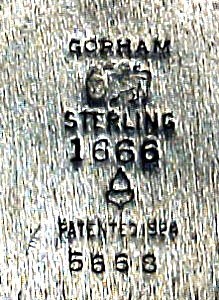 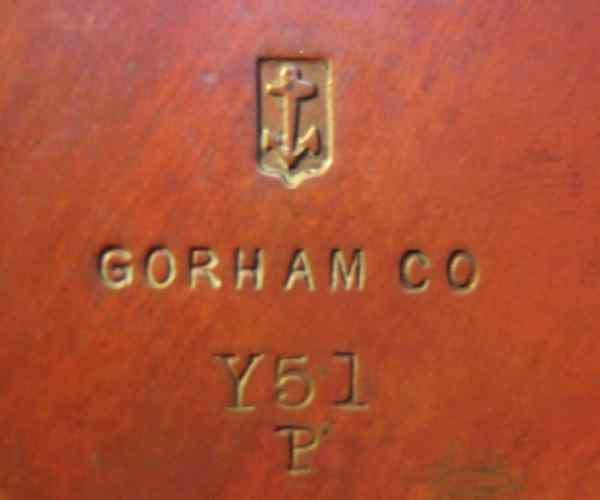 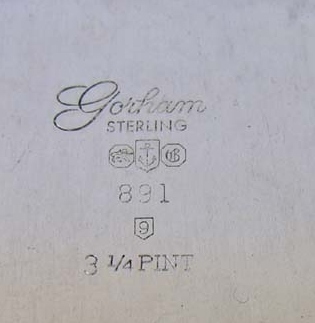 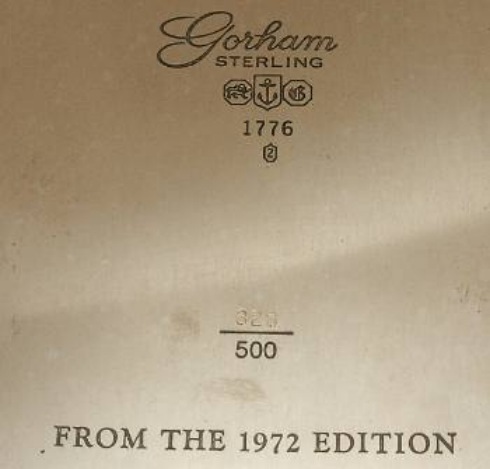 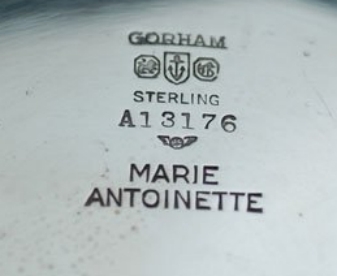 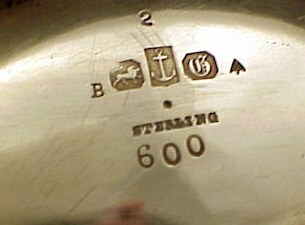 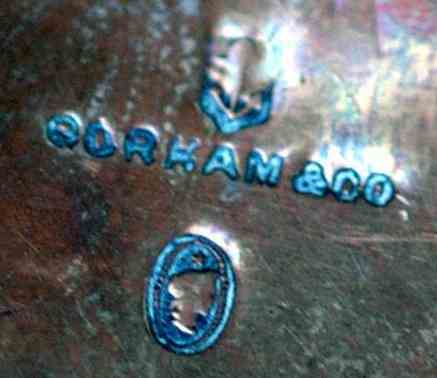 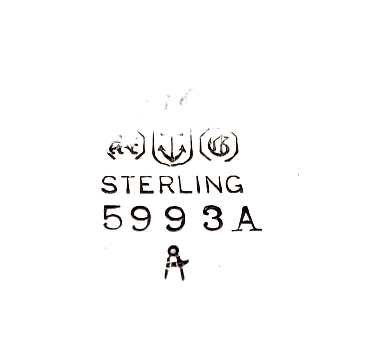 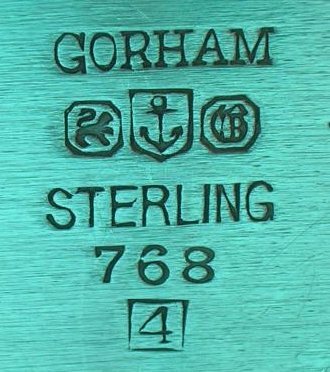 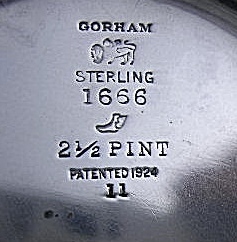 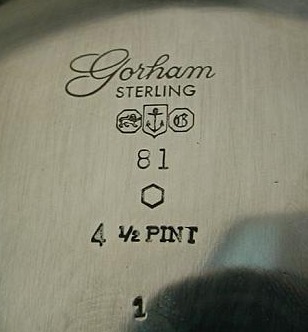 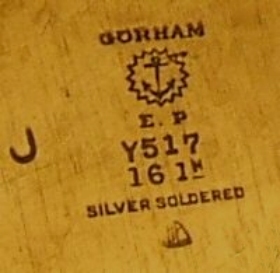 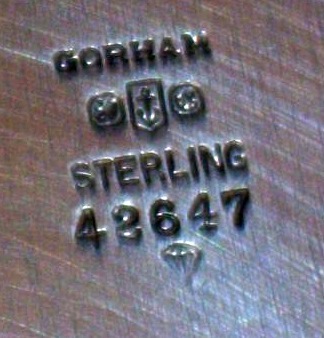 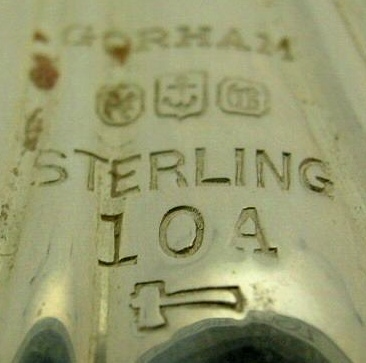 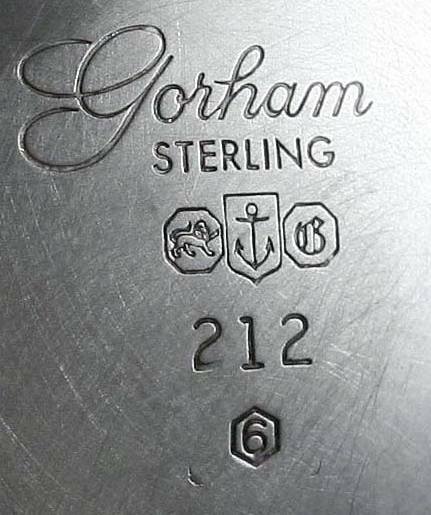 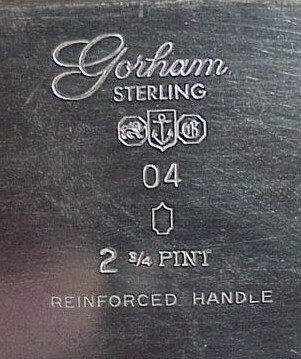 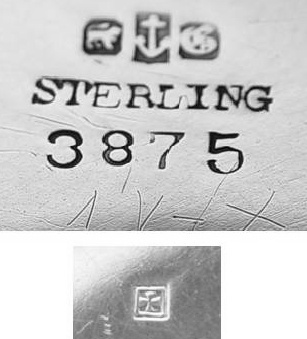 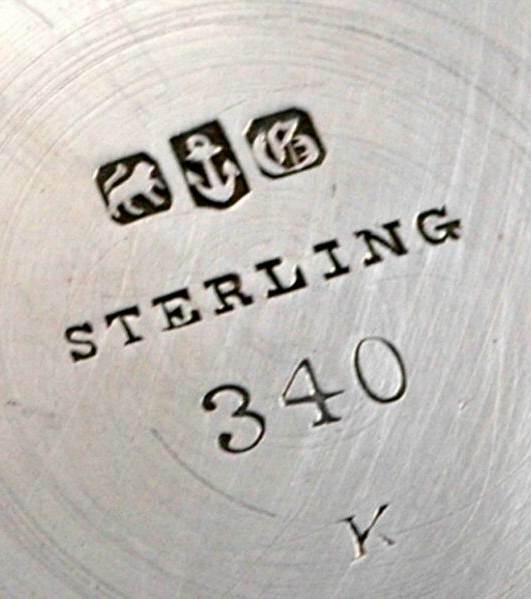 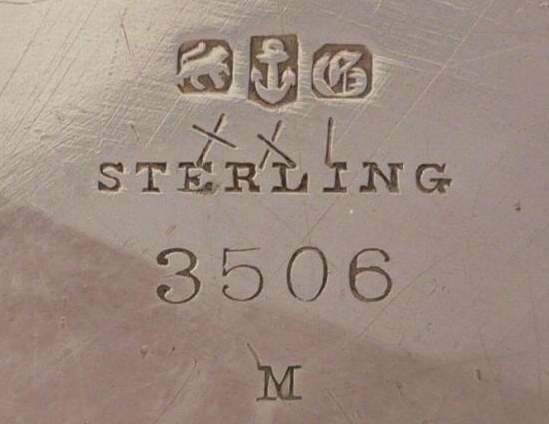 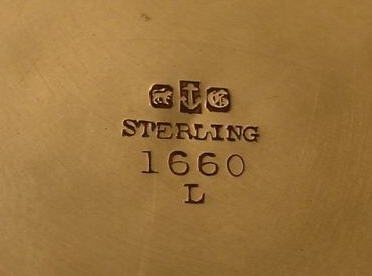 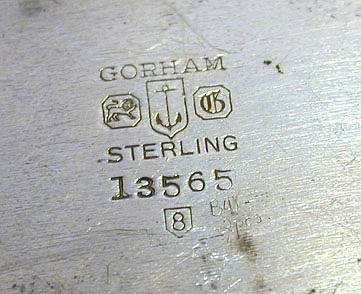 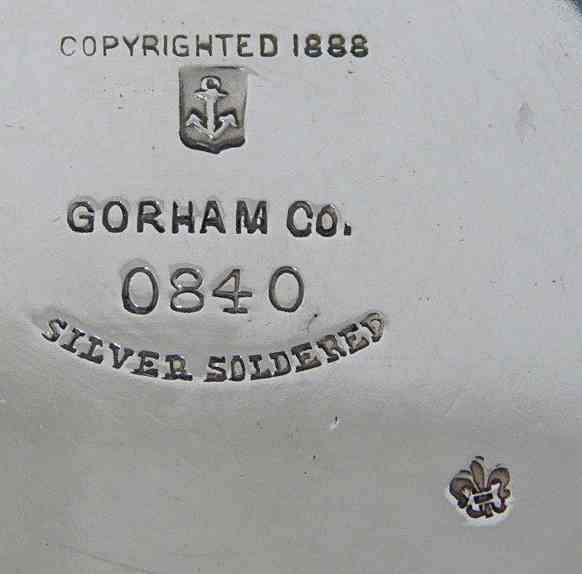 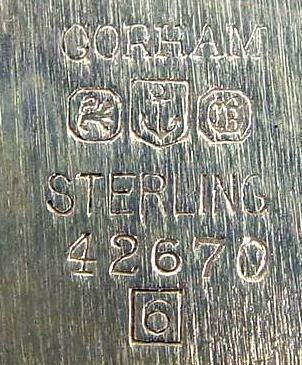 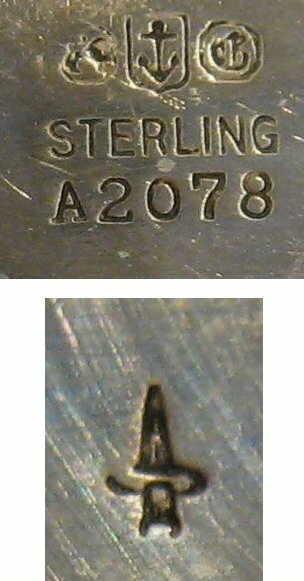 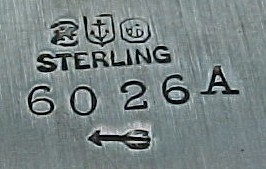 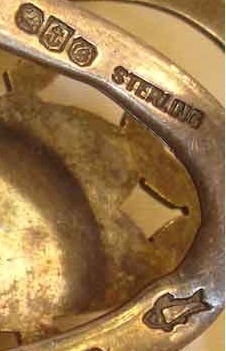 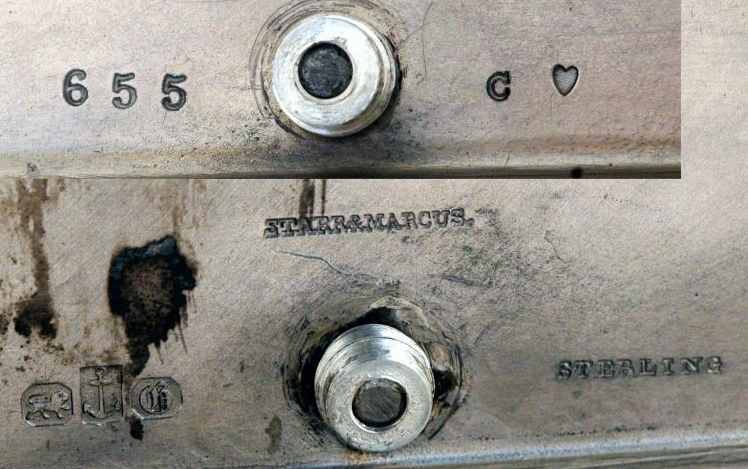 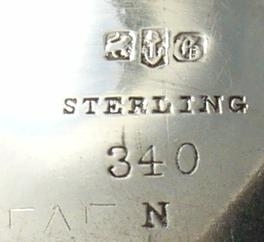 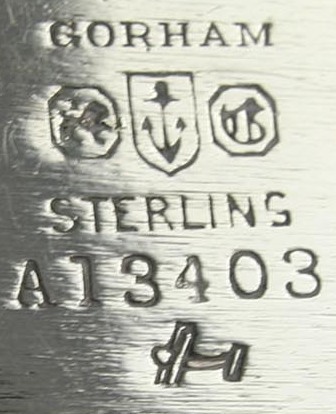 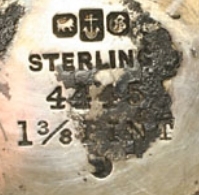 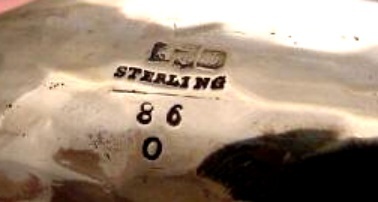 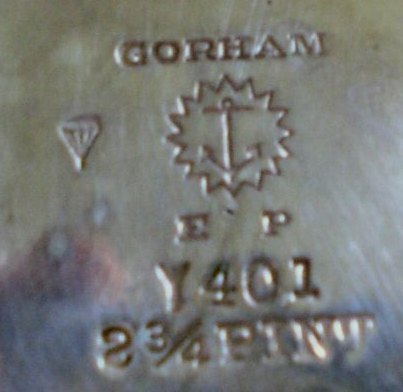 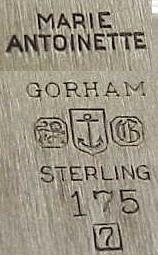 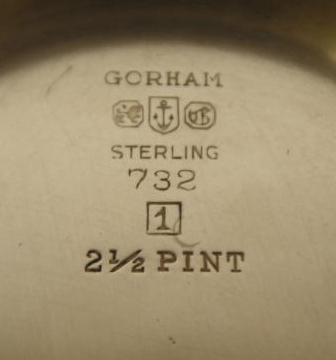 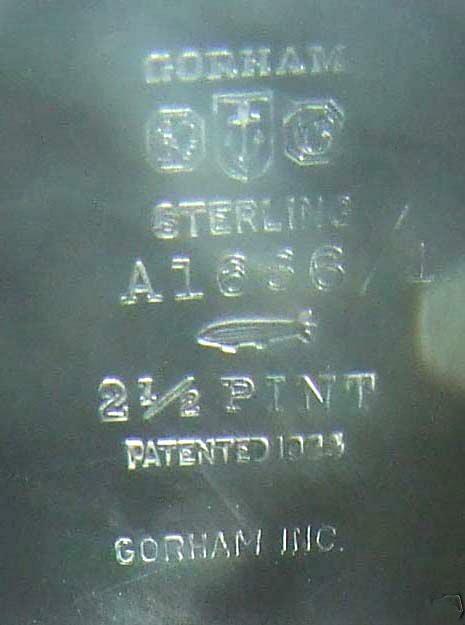 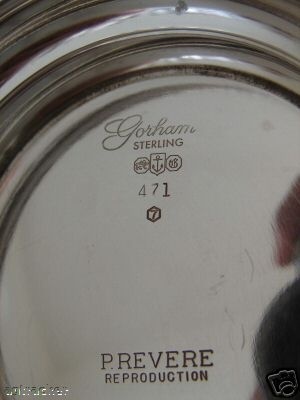 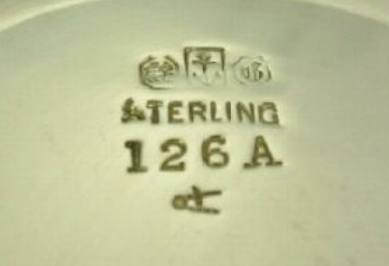 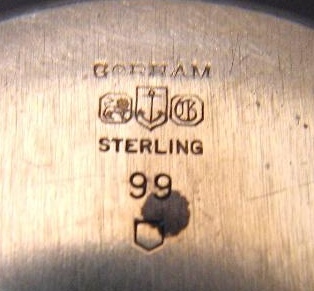 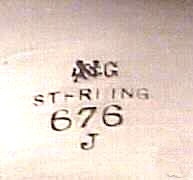 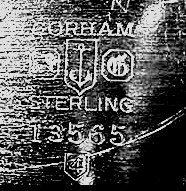 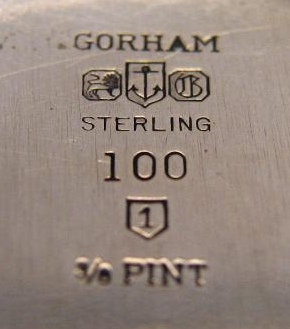 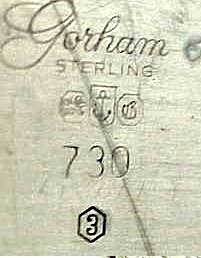 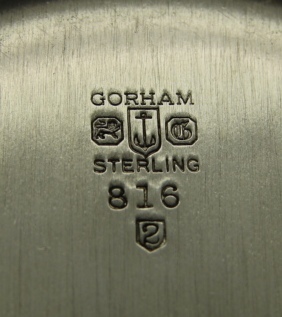 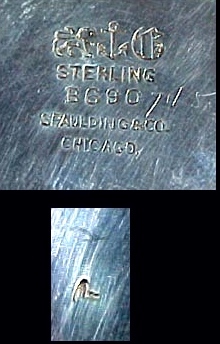 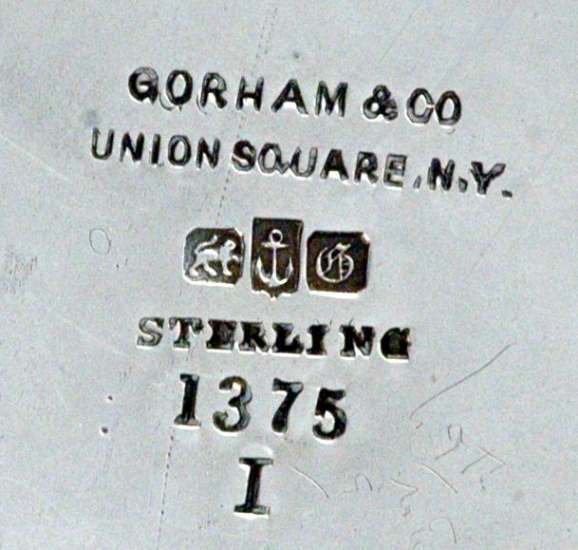 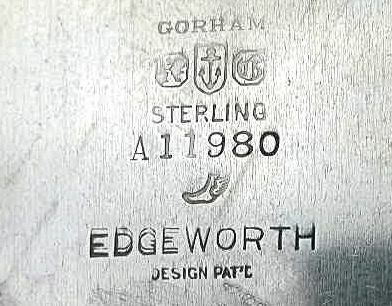 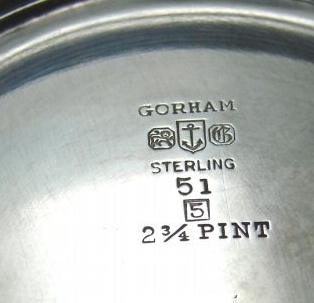 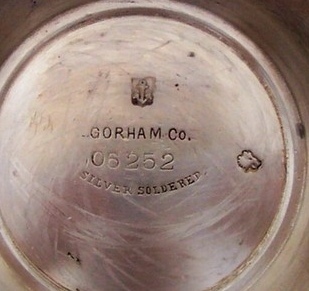 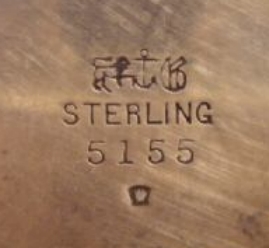 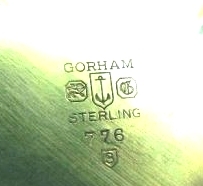 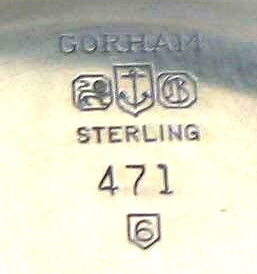 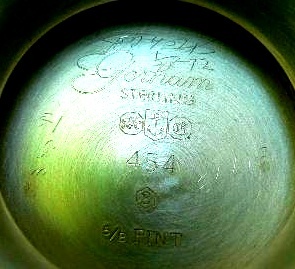 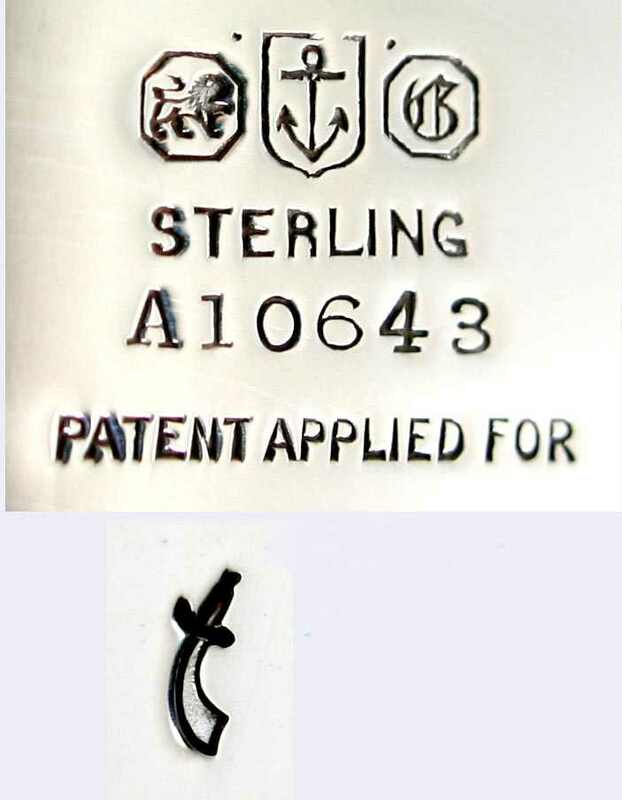 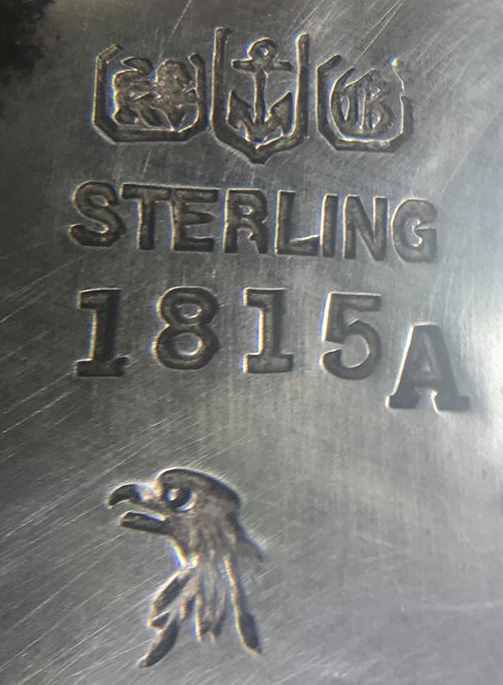 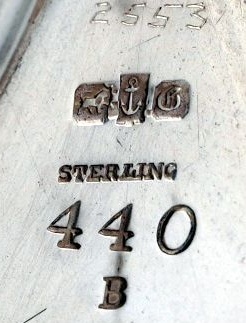 When Gorham adopted the sterling standard in 1868, they began a system of year-marks which were stamped into their products to denote the year in which they were made. 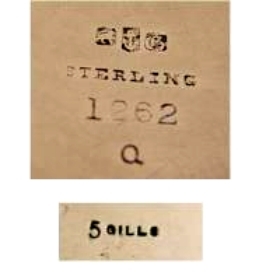 Starting with A for 1868, letters of the alphabet were used until 1884 (Q). 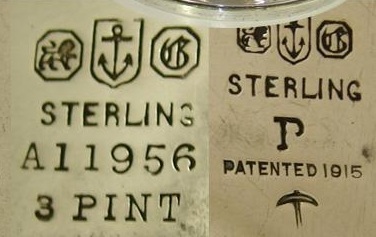 From 1885 until 1933 a different symbol was used each year. 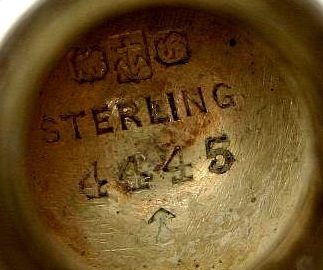 This dating system was sometimes used also for silver plate items. 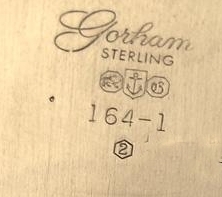 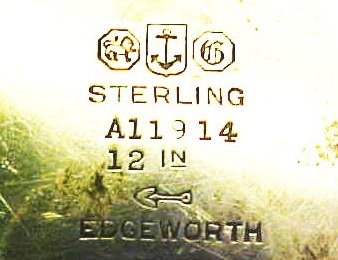 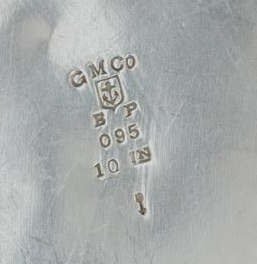 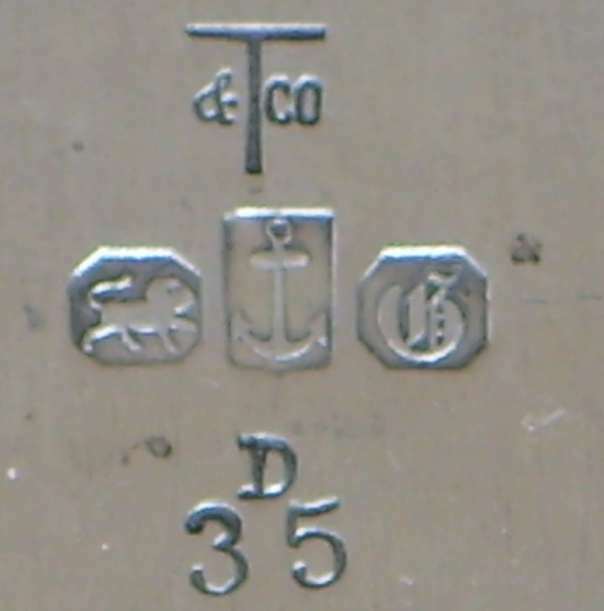 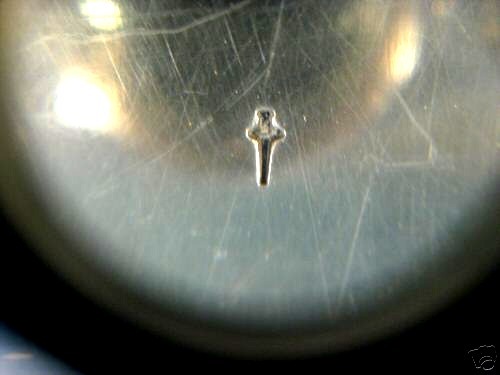 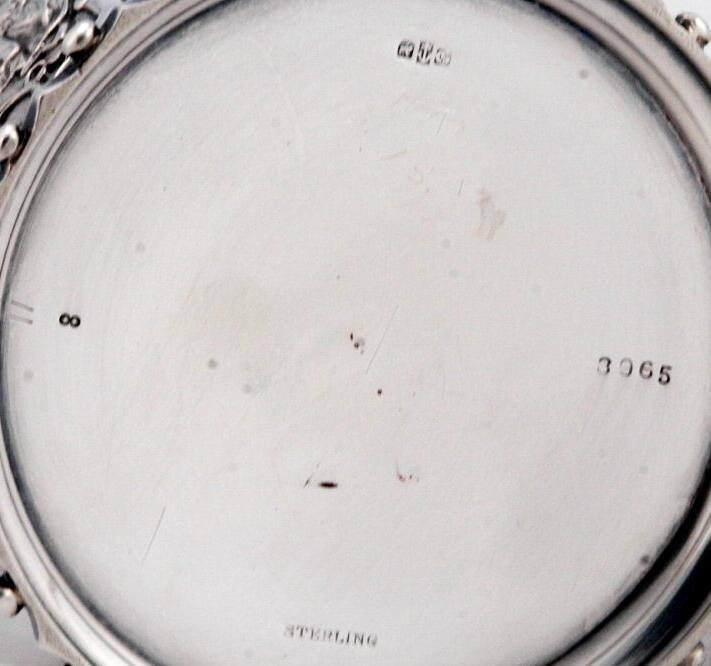 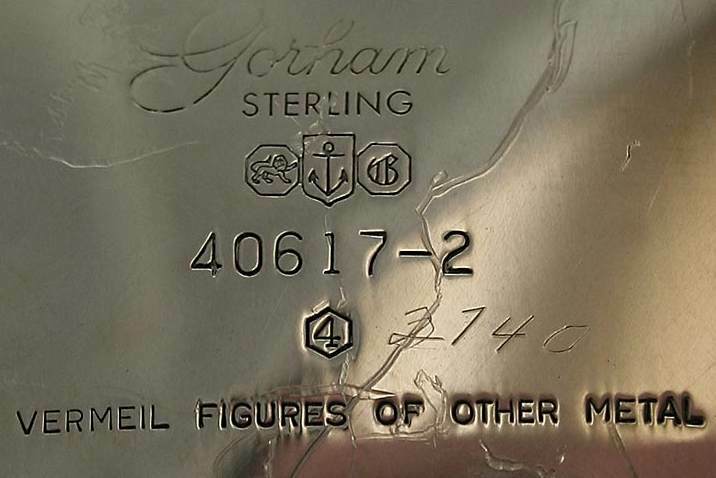 The use of the year mark was suspended until 1941, at which time Gorham silver adopted a system of marking their " important pieces" with polygonal figures sorrounding a numeral. 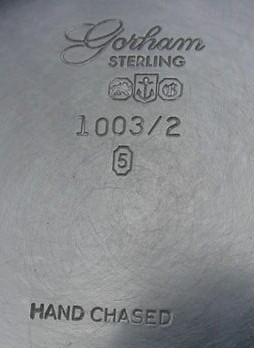 The number of the sides indicated the decade of manufacture, the numeral, the year. 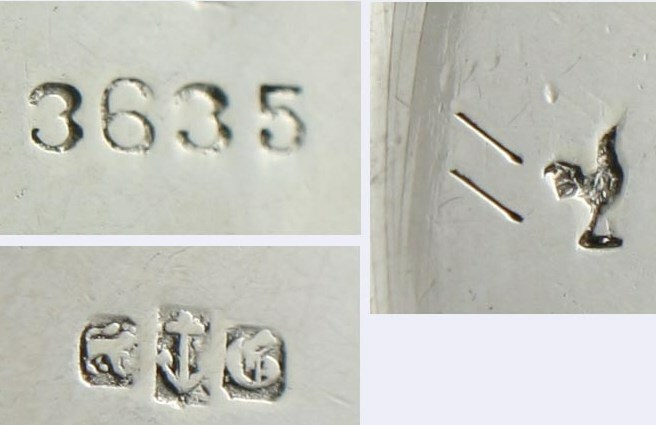 1950, 1960 and 1970 dates had no numeral. 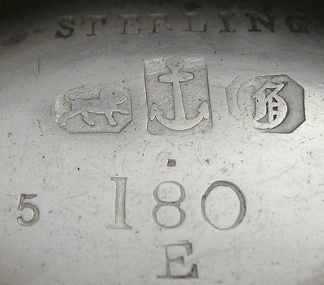 note 1: a 1870 fruit stand presents a combined letter/symbol mark (letter "C" and symbol "heart"). 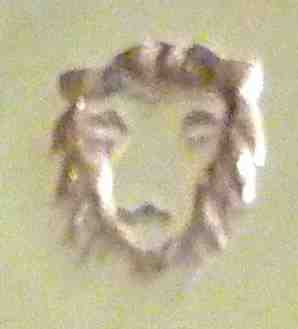 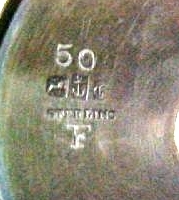 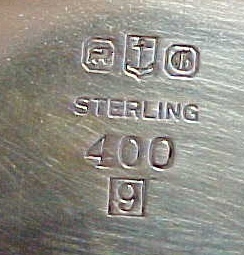 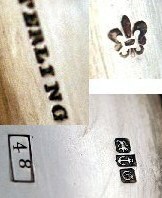 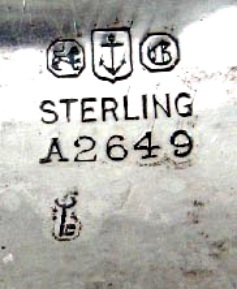 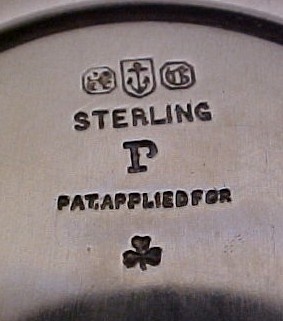 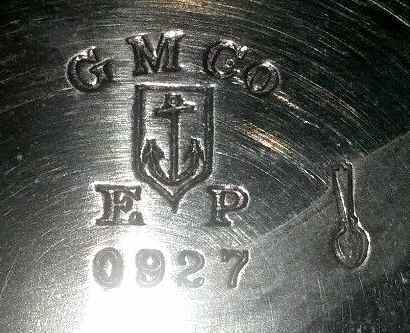 "Heart" mark is unknown to Dorothy T. Rainwater "Encyclopaedia of American Silver Manufacturers"